The New Eugenics – same as the Old Eugenics? Did I miss a memo? Has eugenics somehow become respectable again? 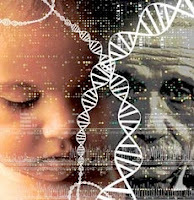 There has been a lot of talk lately, in the blogosphere at least (1, 2, 3, 4, 5), about the idea of using molecular genetics to predict and select for higher intelligence in humans (through pre-implantation screening of embryos, for example). The prevailing view among many discussing this idea seems to be that if we can do it, we obviously should do it. The casualness with which this conclusion is reached is astonishing to me, given the history of humanity’s efforts in this area. To many commentators, it seems to be a given that having more intelligent people, across the population, is not only obviously a good thing, but one that supersedes any other considerations.